Discovery Walks: Goodbye & Hello! Featured » Discovery Walks: Goodbye & Hello! 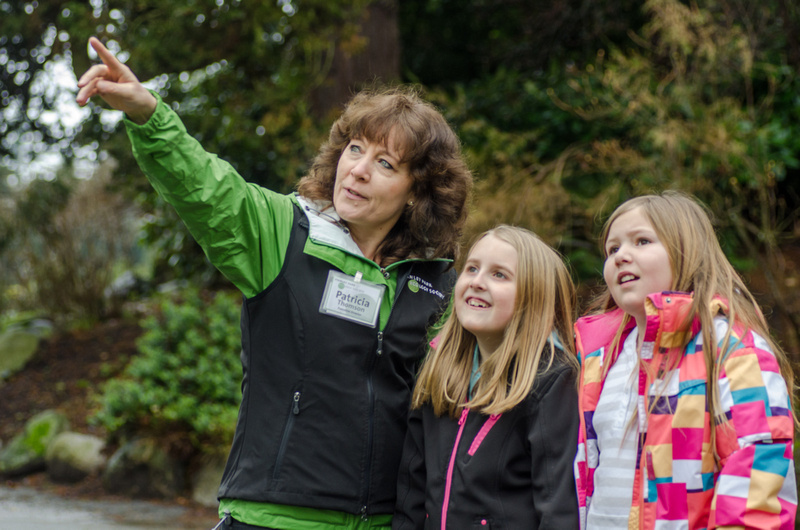 SPES’ Discovery Walks program, running for over a decade, helps Park visitors interpret and experience Stanley Park’s rich geologic, natural, and cultural history. These public programs fully embrace our goal of connecting people with nature through hands on ecology learning. The scope and strength of these walks are a direct result of the passionate leaders who run them. One of our most popular and longest running programs is our “Birds of a Feather” monthly bird walk. This program highlights the many avian species that can be found in Stanley Park throughout the year. With guidance from a humble expert, literally thousands of participants have been able to witness swallows hawking insects over Beaver Lake, scoters riding the waves by the seawall, warblers singing their bubbly songs from treetops, and woodpeckers drumming on the sides of snags. Since 2004, Cathy Aitchison has led more than 130 “Birds of a Feather” Discovery Walks. We would like to thank Cathy for her hundreds of hours of time, her friendly and approachable manner, her knowledge and expertise of birds, and for being an unsung ambassador for SPES. 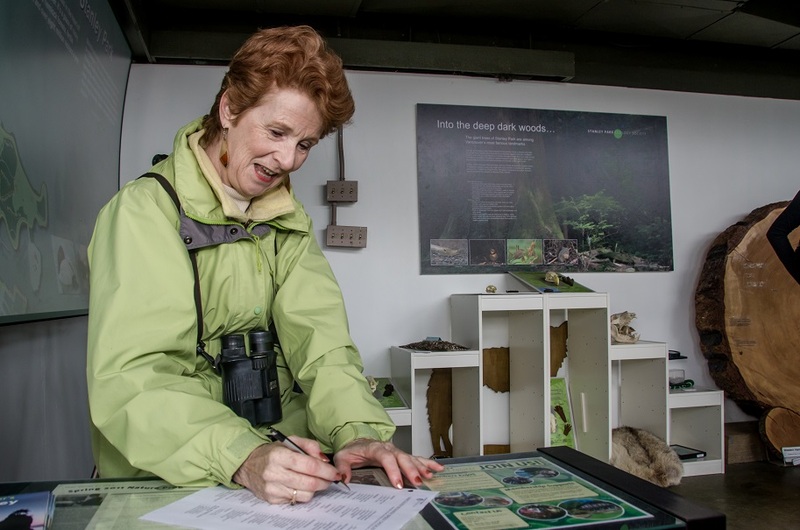 Although she is retiring as a monthly bird walk leader, visitors will still find her in and around Stanley Park with her trusty spotting scope over her shoulder. She no doubt will continue to share her passion and knowledge with other tourists she meets. Our Discovery Walks—including the monthly bird walk—are in great hands. We have dozens of passionate, expert leaders who are excited to share their knowledge with you about insects, edible plants, fungi, history, birds, and more. Come join a walk and catch the excitement!